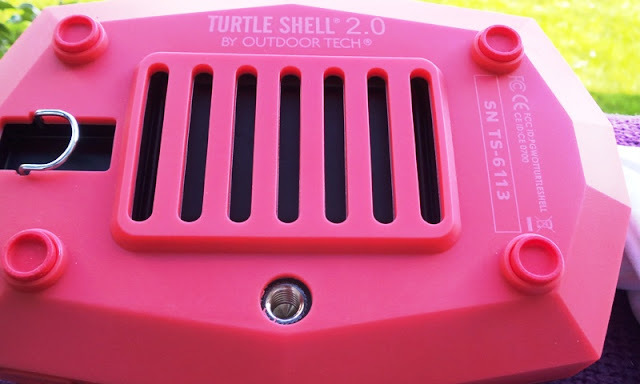 Turtle Shell 2.0 Omnidirectional Outdoor Bluetooth Speaker By Outdoor Technology! If you're a fan of rugged outdoor gear, check out this offering by Outdoor Technology. 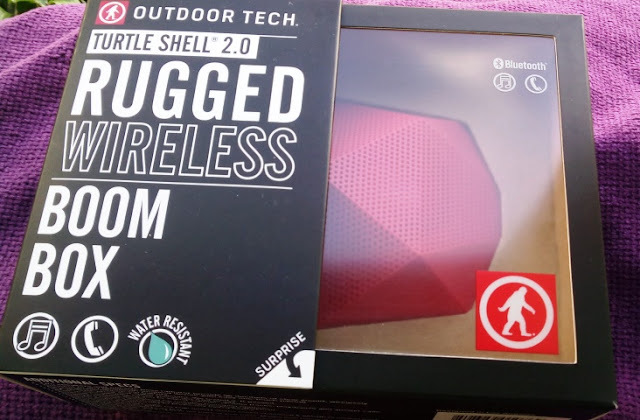 It's called Turtle Shell 2.0, and it's a water resistant and wireless Bluetooth speaker with a built-in microphone that you can take anywhere outdoors, or just keep low key and classy at home! First impression of the Turtle Shell 2.0 is great with a fun packaging presentation and eye-catching big fonts and colors. The Turtle Shell itself has a cool build and unmistakable design that makes it really stand out. 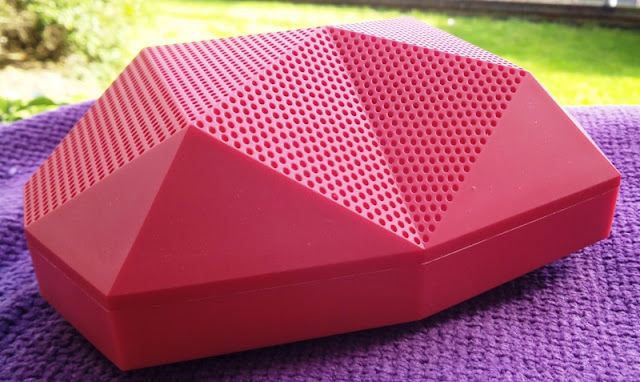 The technology inside the Turtle Shell 2.0 also stands out as a wireless portable speaker because of the speaker system. Turtle Shell 2.0 uses a set of omnidirectional twin speakers so sounds travel in every direction (great for small outdoor gatherings). The Turtle Shell 2.0 has a soft to the touch, yet durable rubberized material that covers the entire speaker system, and gives instant confidence that the Turtle Shell 2.0 will survive some rough use. 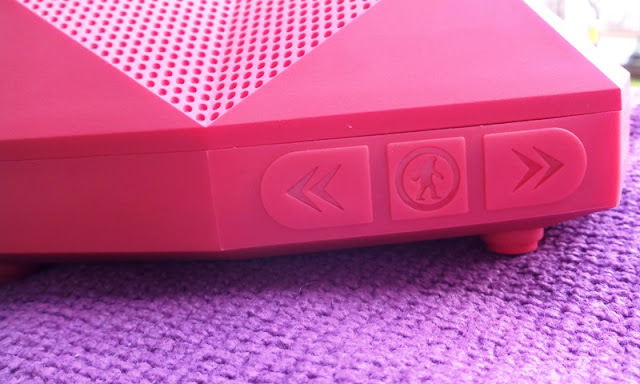 The trappings on the Turtle Shell 2.0 include a pairing button, and multi-functional skip track and volume control buttons that you also use to answer calls. 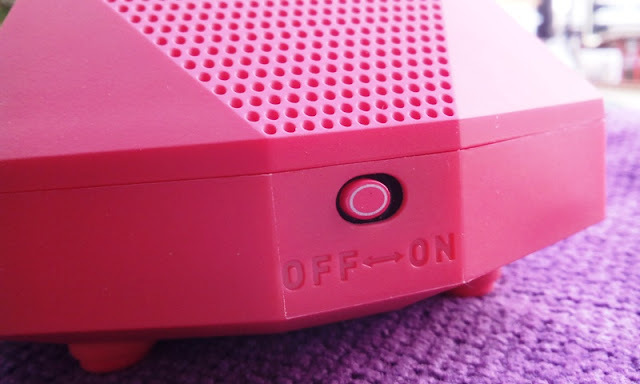 The LED light is located on the ON/OFF button itself. 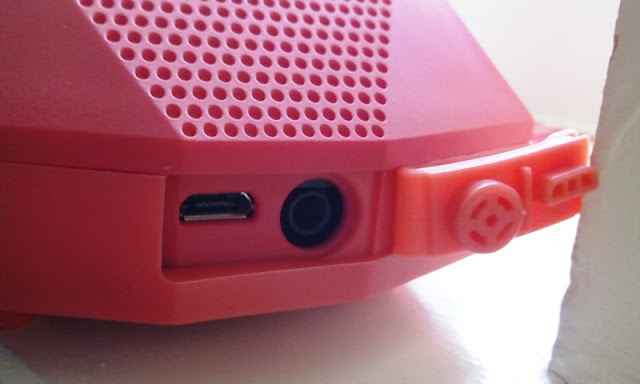 On the side of the Turtle Shell 2.0, there is a flap which protects the micro USB port and 3.5 mm audio jack. The bottom of the Turtle Shell 2.0 has four rubber feet to keep it steady in place and a rock climbing carabiner hook, as well as a tripod camera thread that allows you to mount the Turtle Shell 2.0 to many accessories such as a claw mount for your bike's handle bar. Since the Turtle Shell 2.0 is also water resistant, you won't have to worry about rain splashing on it. Pairing the device with your smart device is easy and with one touch, and the Turtle Shell 2.0 will reconnect automatically to your previously paired device. 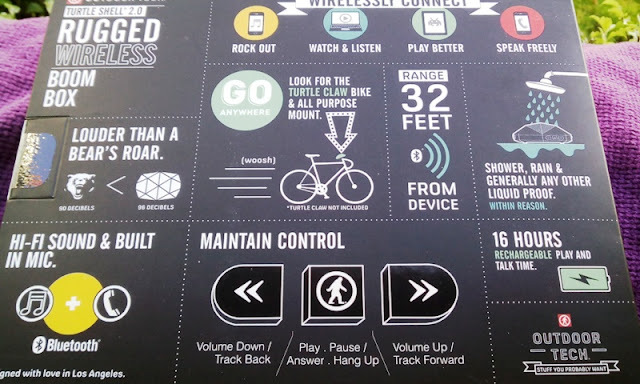 The wireless range is up to 32 feet. It weighs 7 Pounds and measures 5.6"x 3.9" 2.1". 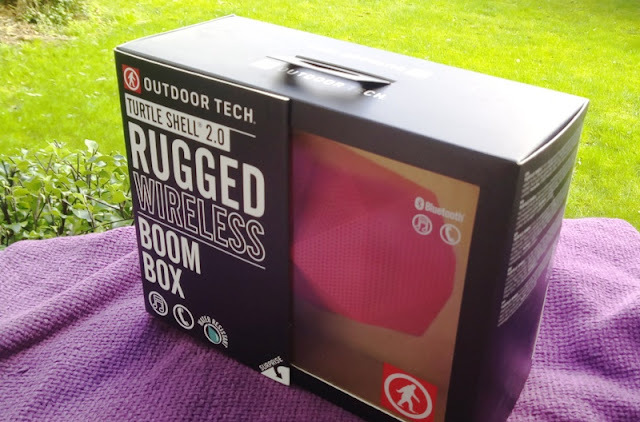 The Turtle Shell 2.0 is a dust, shock proof and water resistant wireless 96 decibel speaker that fits in the palm of your hand and offers 16 hours of play or talk time (standby time of 700 hrs). It comes with a soft carrying pouch, two bumper stickers, USB charging cable and TRS jack to jack cable. You will never mistake the Turtle Shell 2.0's neat and attractive look with any other portable wireless speaker because of its recognizable and solid design. 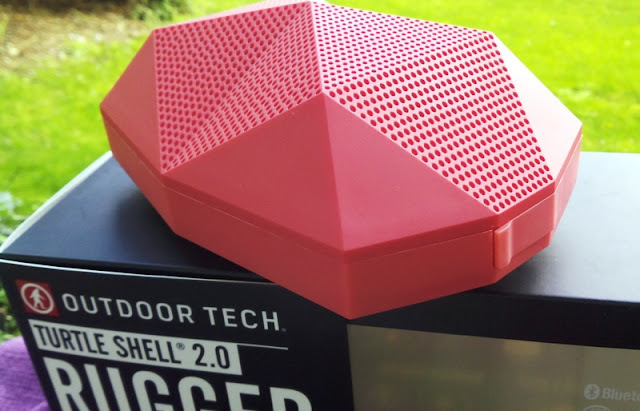 At 96 decibels, the Turtle Shell 2.0 is very loud for a portable wireless speaker of its kind. The sound quality is also surprisingly crisp for a rugged speaker and there aren't any noticeable distortions even at max volume.